How can precision feeding reduce aggression in your pig herd? The key to resolving aggression around feeding not only lies in providing pigs with the correct volume of feed, but also in providing the right feed, which contains the vital nutrients they require to thrive. According to research published in PLOS ONE (Yvonne van der Meer et al., 2017), deficiencies in such nutrients may lead to more aggressive behaviour and heightened stress, either by affecting brain neurotransmitters or by stimulating foraging behaviour. In the absence of enough rooting substrates, the pigs’ foraging behaviour may become redirected towards pen mates in the form of nosing, chewing and sucking (vice), which may culminate in vigorous biting, leading to wounds that will further escalate biting behaviour, especially in pigs on low protein diets (read more on vice and abnormal behaviours here). Pigs may also develop a taste for blood when suffering from certain dietary amino acid imbalances, such as a deficiency in tryptophan – weaners whose diets have been supplemented with free tryptophan have been found to bite less on the tails and ears of pen mates than those that had not been given the supplement. Pig diets should therefore be carefully formulated to prevent deficiencies that may aggravate abnormal biting behaviours. The research further revealed that pigs kept in poor sanitary conditions were 39 percent more inclined to bite other pigs’ ears than those kept in highly sanitary conditions. Giving these pigs amino acid supplements, such as methionine, threonine or tryptophan, significantly decreased the frequency of ear biting. Being natural foraging animals, pigs prefer diversity in what they eat. 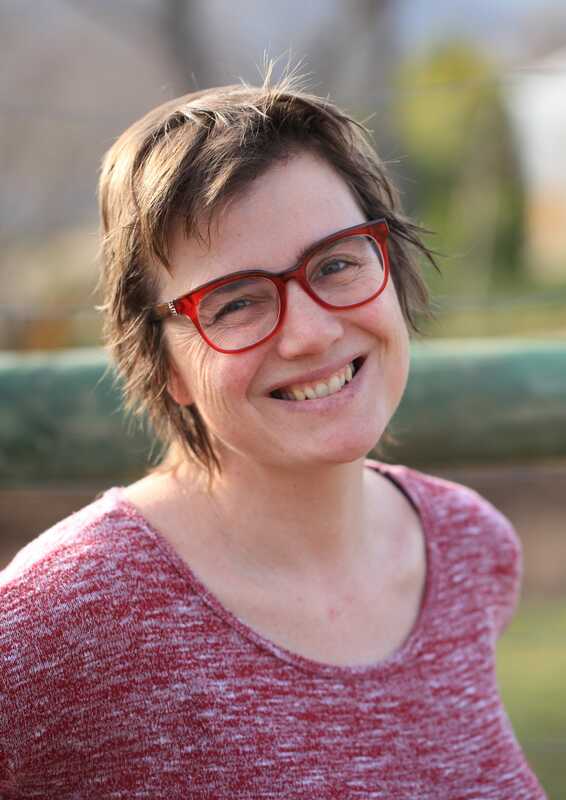 Research by Middelkoop and colleagues (2018) presented at the 51st Congress of the International Society for Applied Ethology in 2017, supported this notion when it uncovered that suckling piglets with access to two feeds with different flavour, size, composition, smell, texture and colour, ate more and engaged in more feed exploratory behaviour than those that only had access to one feed flavour. The diversity in feed did not result in pigs starting to eat earlier, which presents a case for further investigation. While fermented liquid feed has been found to increase the nutrient digestibility of feed and to boost gastrointestinal health, other research by Mate Zoric and colleagues published in Porcine Health Management in 2015, has associated it with negative behaviour. 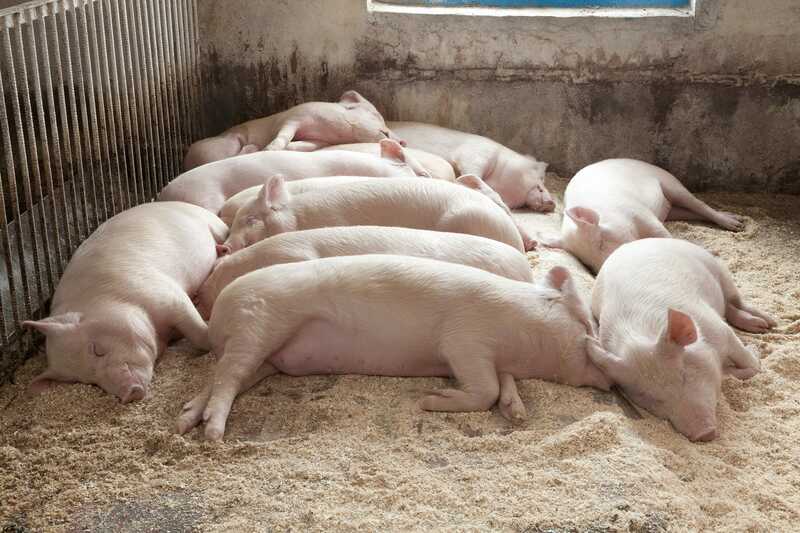 Weaker piglets were also found to be worse off, due to eating time being up to 50 percent shorter compared to those receiving dry feed, which also resulted in more regroupings. Research published in Animals in 2017 (Vermeer et al.) 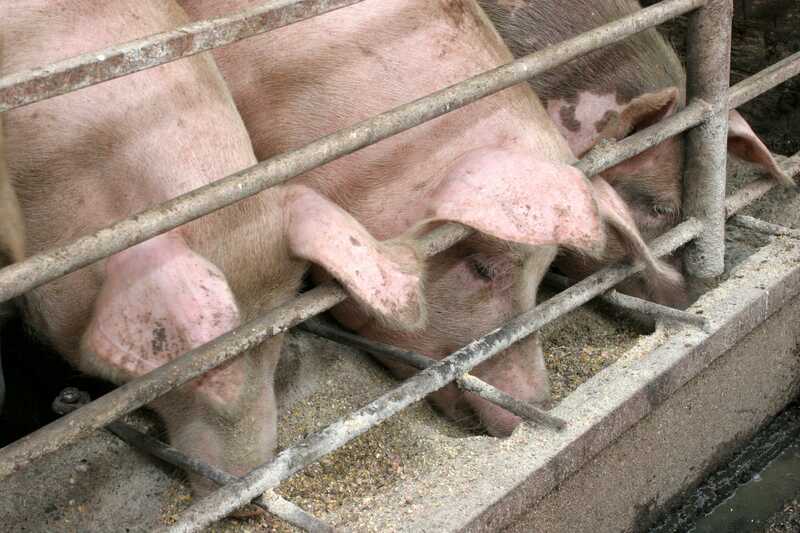 found that the provision of small amounts of feed on the floor frequently during the day did not result in a reduction in tail biting, but it did improve the general skin conditions of pigs, implying a reduction in unwanted behaviour towards pen mates. The provision of straw has also been found to reduce abnormal biting behaviour, but only to a significant extent during the first 45 minutes after introduction. The general consensus up until now has been that a minimum of 0.7 square metres of space is required per 100kg finisher pig for maximal average daily gain, with less space causing a drop in average daily gain. Initial results from research by Cyril Roy and colleagues (2018) suggest the same holds true for nursery pigs, with lower space allowances resulting in reduced daily gain, particularly from midpoint (day 21) to the end of the trial (day 45). The total time spent feeding also dropped from 49 minutes to 44 minutes per day and the average length of feeding decreasing from 2 minutes to 1.9 minutes when stocking density was higher. The number of feeding bouts per eight-hour day, however, was found to increase from 23 to 25 to make up for the shorter feeding duration. Piglets in lower space allowances were observed to sit more often, which has been defined as a “cut-off” strategy in pigs and an early indicator of stress. The researchers argue that reducing this type of stress may help to produce more resilient animals that are less dependent on antimicrobials. Withdrawing food for at least 12 to 18 hours before slaughter will not only help to prevent in-fighting, but also improve food safety and quality, according to the fact sheet Pork safety and quality: feed withdrawal prior to slaughter by Wayne Du (2005). It will help to improve animal wellbeing, since pigs with full stomachs are more likely to be subject to transport death, motion sickness and vomiting than pigs subjected to pre-slaughter feed withdrawal. Fasting animals are generally easier to move and handle, most probably because of greater fatigue caused by the additive effect of a lack of food prior to loading, handling and transport. Research released at the VII Brazilian Congress of Biometeorology, Ambience, Behaviour and Animal Welfare (Filipe Dalla Costa et al., 2017), showed that climatic conditions had a major impact on animal welfare during fasting. Pigs transported in summer were found to have higher stress levels, making them more difficult to manage, than pigs transported during cooler times of the year. On the other hand, carcass lesions caused by fighting were more frequent in winter, mainly after three and six hours of lairage, presumably because the pigs had been huddling together to stay warm. The fasting period should be limited to less than 30 hours as pigs have been found to lose from 60g to 14g per hour when fasting for periods longer than 24 hours. Filipe Dalla Costa, Arlei Coldebella, Osmar Antonio Dalla Costa and Adriano Cleiton, July 2017. How do seasons and different combinations between on-farm fasting intervals and lairage period affect pigs' welfare, carcass and pork quality traits? VII Brazilian Congress of Biometeorology, Ambiance, Behaviour and Animal Welfare “Environmental Responsibility and Innovation”. Wayne Du, 10/05. Pork Safety and Quality: Feed Withdrawal Prior to Slaughter Factsheet. Ontario Ministry of Agriculture Feed and Rural Affairs. Middelkoop, Anouschka; Choudhury, R; Gerrits, W.J.J; Kemp, B, Kleerebezem, M; Bolhuis, JE, 7 – 10 August. If you give the pig a choice: suckling piglets eat more from a diverse diet. 51st Congress of the International Society for Applied Ethology. Cyril Roy, Ravneet Kaur, Jennifer Brown, Yolande Seddon, Dan Bussieres and Sandra Edwards, 22 January 2018. Determining optimum stocking density in nursery pigs. National Hog Farmer. Yvonne van der Meer, Walter Gerrits, Alfons Jansman, Bas Kemp and Elizabeth Bolhuis, 8 May 2017. A link between damaging behaviour in pigs, sanitary conditions, and dietary protein and amino acid supply. PLOS ONE. Herman Vermeer, Nienke Dirx-Kuijken and Marc Bracke, May 2017, 7 (5):36. Exploration Feeding and Higher Space Allocation Improve Welfare of Growing-Finishing Pigs. Animals (Basel). Mate Zoric, Sven-Erik Johansson and Per Wallgren, 2015. Behaviour of fattening pigs few with liquid and dry feed. Porcine Health Management.